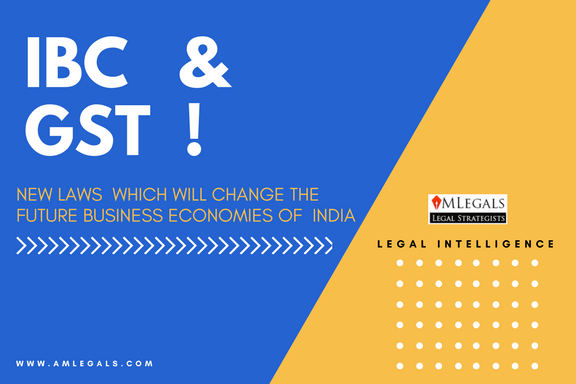 Insolvency and Bankruptcy Code (IBC) and Goods and Services Tax(GST) are set to create new notions in law. IBC has been infused in various laws including GST laws. AMLEGALS anticipate that interesting issues will crop due to overlapping of debts under IBC in context with various laws. Whereas, GST will be the biggest ever booster for income tax collections. It is pertinent to appreciate that recently, Supreme Court held that IBC and SARFESI Act complement each other. It must be also noted that where no dispute will exist in a contract with arbitration clause then situation may demand the Courts of law to carry out the litmus test between Arbitration and IBC. Hence, IBC and GST will be the game changing laws of India.